Over 20 years ago the UFC was created to answer the question, which martial art is the best? Decades after mixed martial arts was created as a universal sport, people still wonder what martial art is truly the best for fighting. 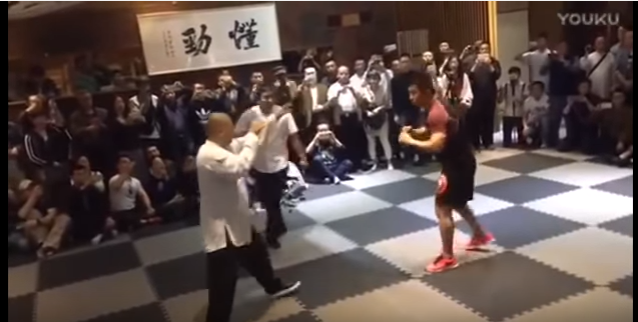 Xiaodong Xu, a 38-year-old MMA fighter and coach, recently insulted traditional Chinese martial arts and has said they are all style and no substance. Xu challenged a Tai Chi fighter to a battle that not only pitted two different martial arts techniques against each other but also was a battle between traditional and modern martial arts. The battle only lasted a few seconds. Below, you can see the fight in its entirety. It took only a couple of seconds for the MMA fighter to pummel his opponent to the ground and end the fight due to strikes.